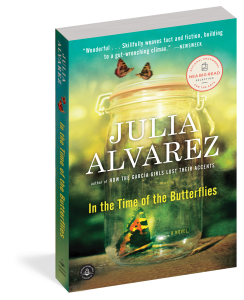 This fall, the Rutgers-Camden Center for the Arts will participate in The Big Read for the 9th time with In the Time of the Butterflies by Julia Alvarez. The two-month celebration features a lecture series, art installation sites, storytelling programs, and more. A copy of In the Time of the Butterflies or an age appropriate companion book will be given to each patron at all of the following events. For more information on The Big Read or to have your own In the Time of the Butterflies book group, call Noreen Scott Garrity at 856-225-6306. The kick-off event will feature a storyteller, on hand to delight listeners, as well as art activities, book discussion group sign-ups, and giveaways. Each participant will receive a copy of the novel or a companion book. 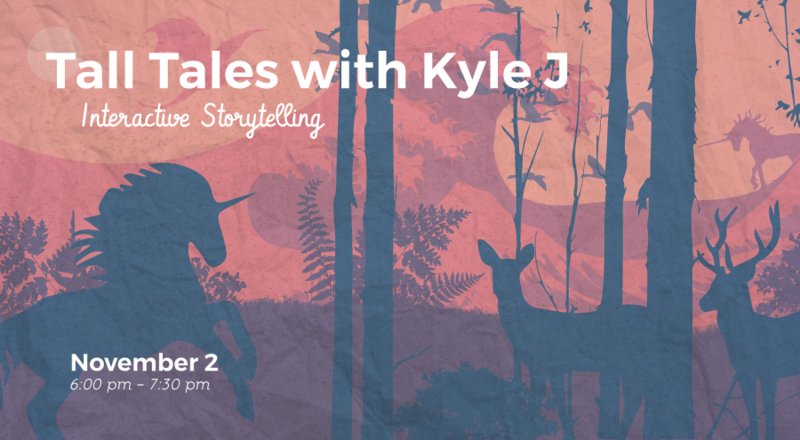 Everyone’s favorite storyteller, Kyle Jakubowski, will weave his delightful word magic and captivate children of all ages through interactive storytelling. The session includes several different stories adapted from picture books. The children help to tell the stories through call-and-response, creative movement, and other ways that provide engaged learning and encourage an interest in reading. Space is limited. Call ahead to reserve your space. Contact Miranda Powell at 856-225-6202. Dr. LeeAnn Westman, associate professor, Rutgers-Camden, will present on cultural relativism and gendered violence. 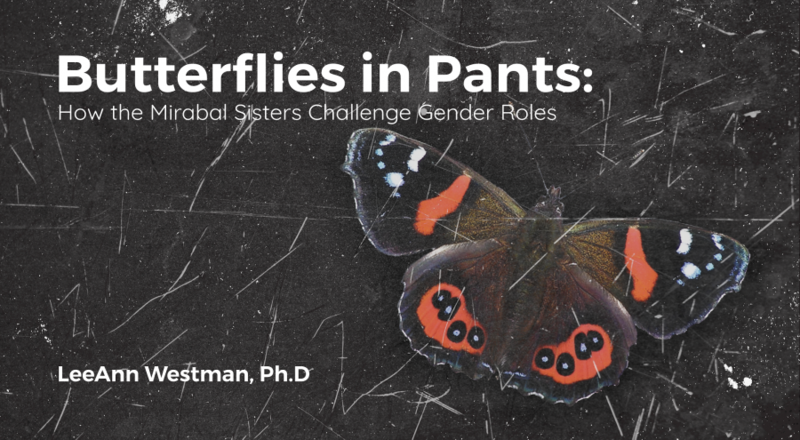 A specialist in American literature and culture, Dr. Westman teaches courses on Contemporary Gender Issues, Women and the Arts, and Sexual Identity and American Popular Culture. She is co-editor of the scholarly journal Interdisciplinary Humanities. Dr. Lorrin Thomas, professor of History, Rutgers-Camden, explores ideas ideas about rights and equality in 20th century Americas. Her book, Puerto Rican Citizen: History and Political Identity in Twentieth Century New York City, traces the complex meanings of citizenship for Puerto Ricans in the U.S. Thomas’ new book is a study of the politics of human rights around the Americas in the wake of the social and political movements of the 1960s. 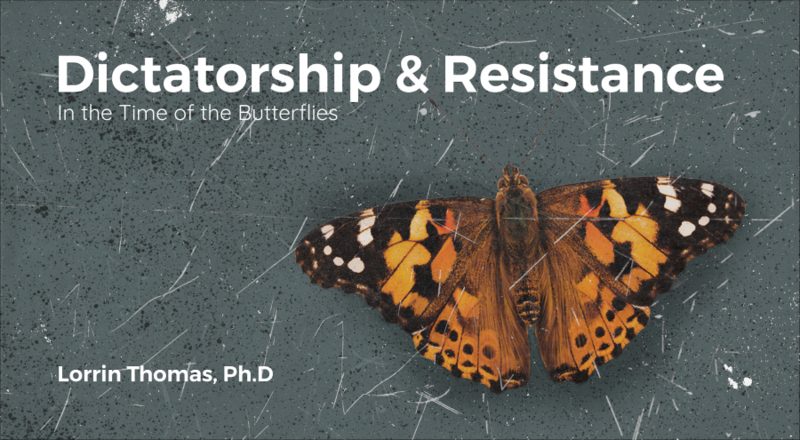 Participants of all ages will have the opportunity to contribute to the growing installations of hand crafted butterflies in both the Nilsa I. Cruz Library and the Paul Robeson Library, Rutgers-Camden. Individuals can create their own butterfly in remembrance or honor of someone close to them. 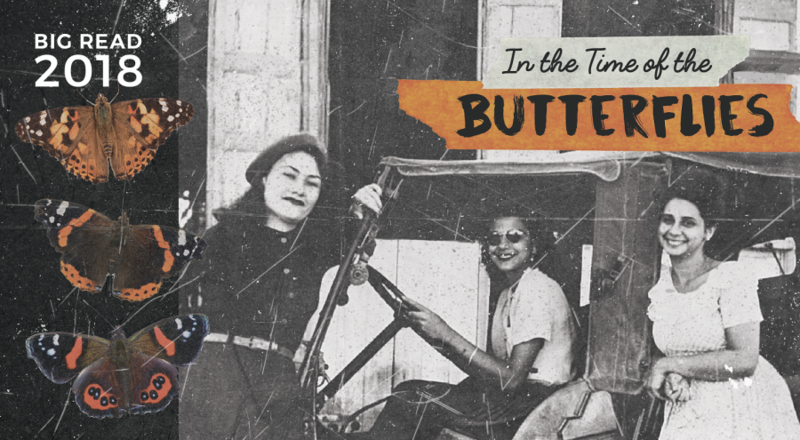 The Paul Robeson Library will feature a collection of books, biographies, and criticism related to Julia Alvarez’ In the Time of the Butterflies. RCCA arts education programs are made possible in part with generous support from the Geraldine R. Dodge Foundation, New Jersey State Council on the Arts/Department of State, a partner Agency of the National Endowment for the Arts, Subaru of America Foundation, and other generous supporters. Page last updated by Rutgers–Camden Center for the Arts at 12:01 pm October 25, 2018 . This page was printed from http://rcca.camden.rutgers.edu/arts-education/the-big-read/ at 5:43 AM Friday, April 26, 2019.